Cold, but clear. 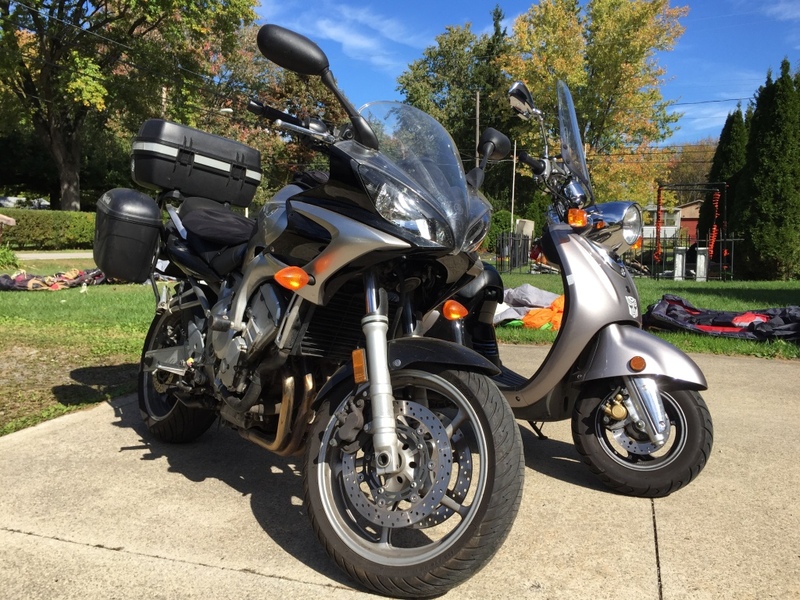 The perfect weather to take my “Yamaha Twins” out for some Fall riding. What do you call a 650 mile loop around Lake Erie on vintage bikes with small engines? Well, many would call it crazy, but for a few, it’s called the Lake Erie Loop. The charity race is held once a year to benefit the Aluminum Cans for Burned Children Foundation, which provides services for pediatric burn victims. The Lake Erie Loop (LEL) comes from rider and Ohio firefighter Bill Murar, who rode over 12,000 miles through the four corners of the US in 2003 to raise money for the ACBC Foundation. The 650 mile endurance run around Lake Erie, through 2 countries, takes place in a single day. The “race” consists of two groups, bikes under 225cc competing for cash prizes, and unlimited bikes riding the same route for fun and support of both the riders and the charity. Within those groups there are separate classes based on engine size, with vintage bikes (older than 30 years) given an extra allowance of engine size. Unlimited 50s – Bikes that started out life at 50cc, along with vintage bikes up to 110cc. 125s – Bikes up to 125cc, and vintage bikes up to 160cc. 200s – 200cc and under bikes, vintage bikes up to 225cc, and any Cushman style scooter w/stock engine. Tourist – non-competion, no size limit, for those riding along for fun. The race starts in Wellington, in northeast Ohio, and competitors can make the loop around Lake Erie in either direction, but are expected to pass through Detroit, Canada and Buffalo during the route. Motorcyclist and writer Lance Liver has a really great write-up of what surviving the LEL is like. I’ve heard about the event a few times over the years, but never really thought about entering. This year, I’m starting to get tempted to take part on my tiny little Yamaha Vino 125 scooter. Not to win any awards, but just to have somehow manage to make it around the lake and back in one piece, and in one day. My dream ride for this would be a Ural sidecar rig. This year’s LEL is scheduled for June 20th to 22nd, and more information can be had through the Lake Erie Loop Yahoo Group.